Exposure to air pollution, particularly at school, could be associated with a higher risk of overweight and obesity during childhood. This is the conclusion of a study by the Barcelona Institute for Global Health (ISGlobal), an institution supported by “la Caixa,” performed with 2,660 children between 7 and 10 years of age from 39 schools in Barcelona. On one hand, the research team collected data on the children’s weight and height and calculated their body mass index and obesity and overweight status. On the other hand, they used sensors in the schoolyard to measure the levels of outdoor pollution — nitrogen dioxide (NO2), elemental carbon (EC), particle matter (PM2.5) and ultrafine particles -during one week in summer and another week in winter. They also estimated exposure levels to NO2, NOx, PM2.5, PM10 and PMcoarse at the home address. “We observed that children exposed to medium or high levels of air pollution at school -ultrafine particles, NO2, PM2.5 and EC- had a higher risk of obesity and overweight as compared to those exposed to lower levels,” concludes first author Jeroen de Bont, researcher at ISGlobal and IDIAP Jordi Gol. Exposure to high levels of PM10 at home was also associated with higher risk of obesity or overweight during childhood, although in this case the analysis was done with estimates of exposure levels. “The study has however some limitations, which means that the results are to be cautiously interpreted,” says Martine Vrijheid, ISGlobal researcher and study coordinator. “Being a cross-sectional study, we only have data at one time-point, and we do not have enough data to establish the nature of the association. To draw more solid conclusions, we need new longitudinal studies that follow the study participants over time,” she adds. Regarding the mechanisms linking air pollution and overweight, some animal studies suggest that pollution can induce oxidative stress, insulin resistance and systemic inflammation, factors that are known to contribute to obesity,” explains de Bont. 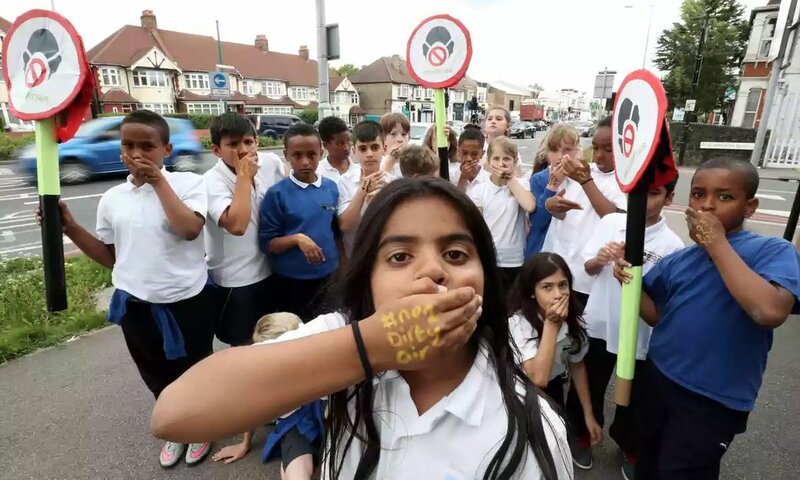 Most children were exposed to air pollution levels above those recommended by the World Health Organisation (WHO), both at school and home. Specifically, over 75% were exposed to PM2.5 levels above those recommended (10?g/m3) and more than 50% breathed NO2 levels above those considered as safe (40?g/m3).